In the state of Oregon, new drivers under the age of 18 are given a provisional driver’s license. The graduated licensing program is intended to reduce the risk of teen accidents by restricting young people from some of the behaviors that could increase the chances of a motor vehicle collision occurring. Unfortunately, teenagers remain the demographic group most likely to be involved in motor vehicle collisions. 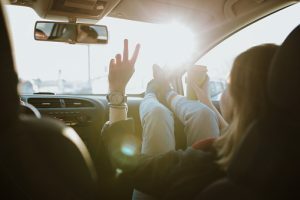 Student accidents involving high school and college kids are especially likely to occur during the summer months and are more likely if there are multiple young people in a vehicle at the same time. Teens or others involved in motor vehicle collisions should consult with Zbinden & Curtis, Attorneys at Law for help pursuing a claim. The Oregon graduated license program imposes restrictions on teen drivers for the first year that they have their license. For example, for the first six months, a new teen driver is not allowed to drive with a passenger under the age of 20 who is not a member of his or her immediate family. For the second six months, the teen driver is not allowed to drive with more than three passengers who are under the age of 20 unless the passengers are in his or her immediate family. Other rules for new drivers relate to cell phone use and nighttime driving. The restrictions on the passengers, however, are especially important because having multiple young people in the car at a time significantly increases the risk of an accident occurring. In fact, as CNN reports, having passengers in the car increases the risk that a teen driver will crash by at least 44 percent. Oregon Live recently reported on one auto accident that occurred this June involving a teenager who was in the car with another young driver. The teen was a high school junior who was killed when she was driving with her boyfriend, whose vehicle struck a telephone poll. Her boyfriend, who was 18-years-old, also died from the injuries that the collision caused. Parents need to be aware of the risks associated with teenagers driving with friends in the car, and must enforce the graduated licensing rules. Parents should make clear that their own children are not allowed to drive with friends in the car, and should not get into a vehicle with another young person behind the wheel if there are too many others. Since the period between Memorial Day and Labor Day is considered the 100 Deadliest Days for teen drivers due to the increase in teen crashes in the summer, now is prime time for parents to talk to their teens to establish guidelines for safety. Creating a parent/teen driving agreement and monitoring your teens behavior could hopefully help to save lives during a time period when more than 1,000 people died in crashes with teen drivers last year.